Ayurveda ~ the science of life. A 5000 year old system of living a life in balance with the planet’s natural rhythyms, the elements, and the seasons. What are your health goals? What areas of your life are out of balance? An initial session will focus on evaluating your prakriti (constitution in balance) of Vata, Pitta, Kapha and current state of vikriti (state of dis-ease). 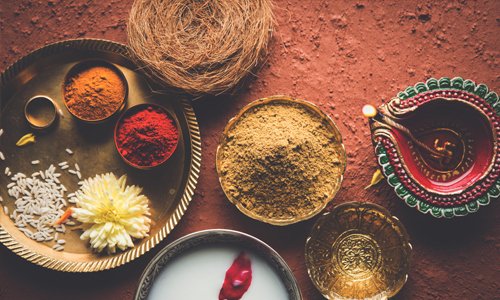 Ayurveda ~ the science of life gives very specific guidelines to gently bring you back to an optimal state of well being through nutrition, yoga asanas, pranayama, lifestyle adjustments, and seasonal routines. Abyangha is the application of warmed oil to the body. Traditionally all ayurvedic massage uses herbal oil to balance your individual body constitution (Dosha) of Vata, Pitta or Kapha. The desired outcome is complete balance or a tridosha state of being. This massage uses copious amounts of oil and a precise rhythmic sequence of strokes to create a deeply relaxing experience like no other. Followed by a 20 minute svedena (heat wrap) to release toxins. You will then be invited to rehydrate will herbal infused waters and tea. This facial massage is a gentle nasal treatment that provides almost immediate relief from chronic sinus issues, migraines, headaches, and other ear, nose and throat issues. 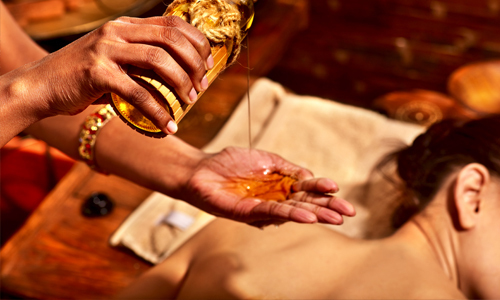 The use of steam, anutaila (ayurveda nasal drops) and massage will clear your head and leave you breathing easy. Although one session is effective, this treatment is traditionally done 7 days consecutively to receive the greatest benefit. Please ask about package pricing.